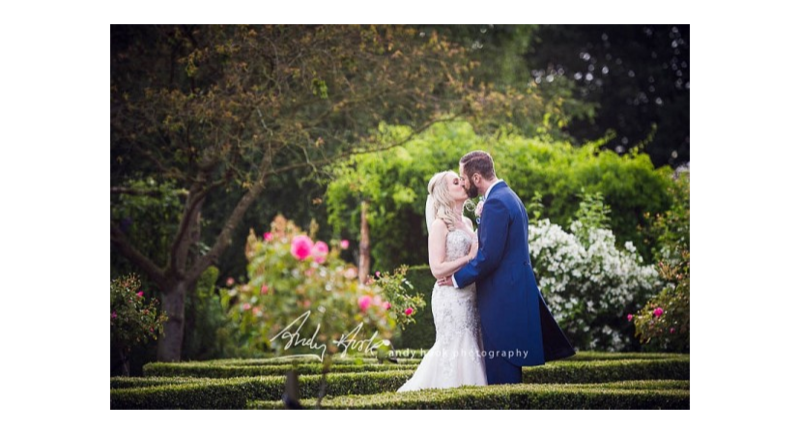 Hodsock Priory is an historic country house wedding venue set in 800 acres of countryside on the border of Nottinghamshire and South Yorkshire. 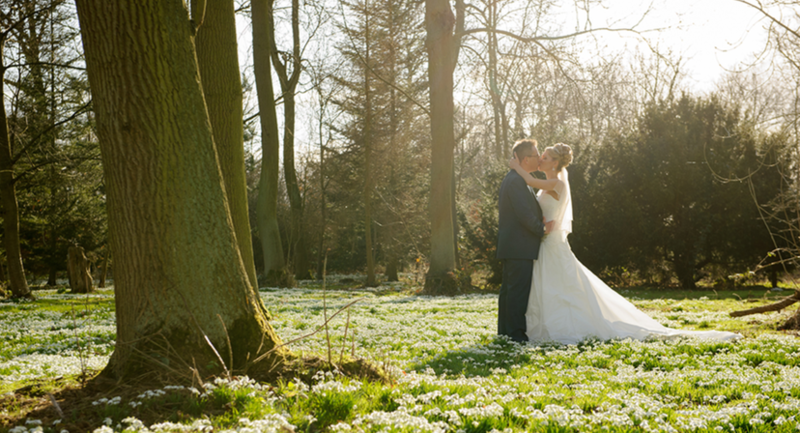 We’ve restored our family home to become a luxury, award-winning, wedding and event venue. What makes us different? 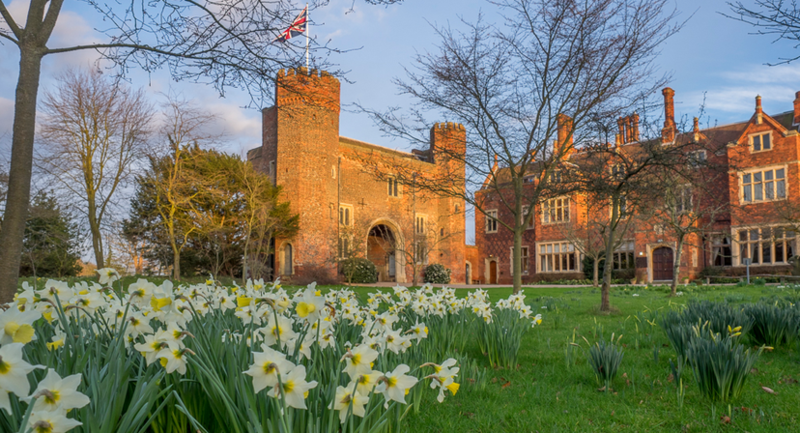 Well apart from the breathtaking views, our very own Tudor Gatehouse and acres of gardens, woodland and rolling fields, we also offer exclusivity. We only do one event at a time, so our home is all yours for the day. 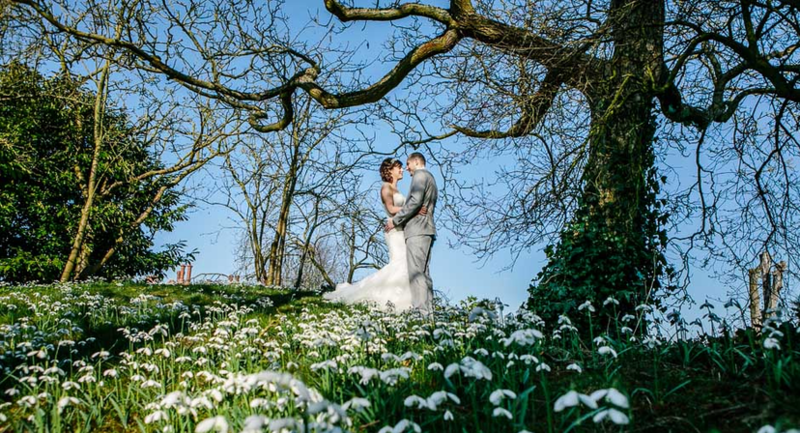 Whether you are coming to Hodsock for a wedding, visiting to see our Snowdrops in February or Bluebells in May, or bringing a group for a house tour and talk, George Buchanan and our award winning team await your arrival. 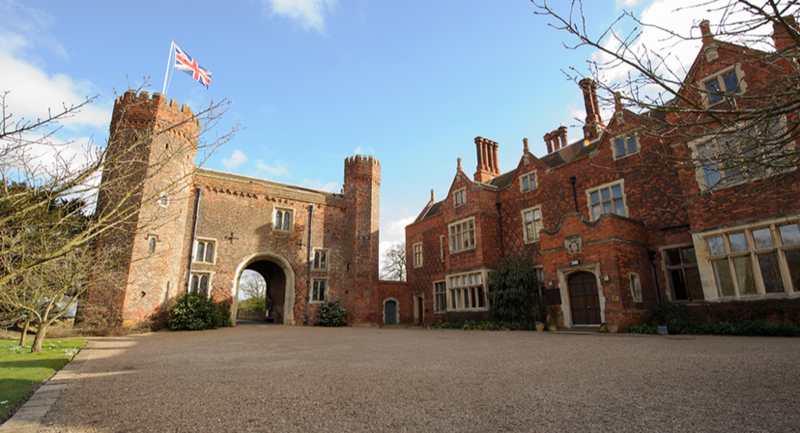 Entering the Panelled Hall you immediately feel like you’ve arrived in a proper country house. It’s a welcoming room, not intimidating like many stately homes. In the past, dinner guests would assemble in this room. George’s grandfather would have been dressed in black tie, enjoying a gin and tonic with them and warming his hands by the fire before dining. 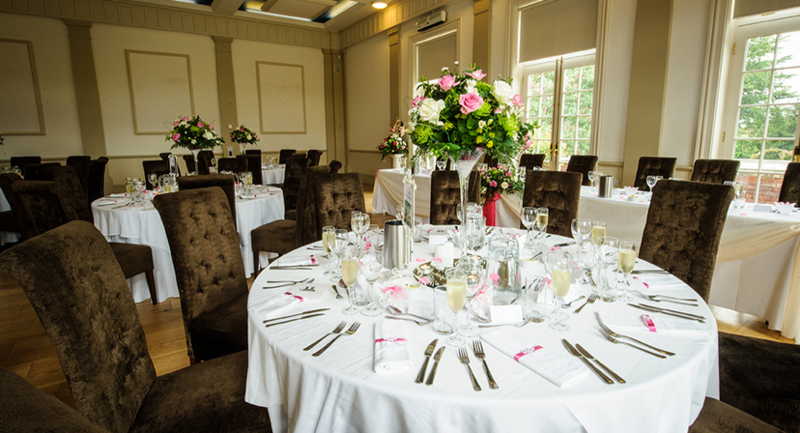 Today the Hall is still a room for gatherings and occasions, it is our most popular room for ceremonies. During refurbishment, the Ante Room was decorated with Farrow & Ball’s ‘Hague Blue’ paint providing a further classic touch. Swallows, the party animals of the natural world, flitter in and out as they swoop from one social gathering to another. 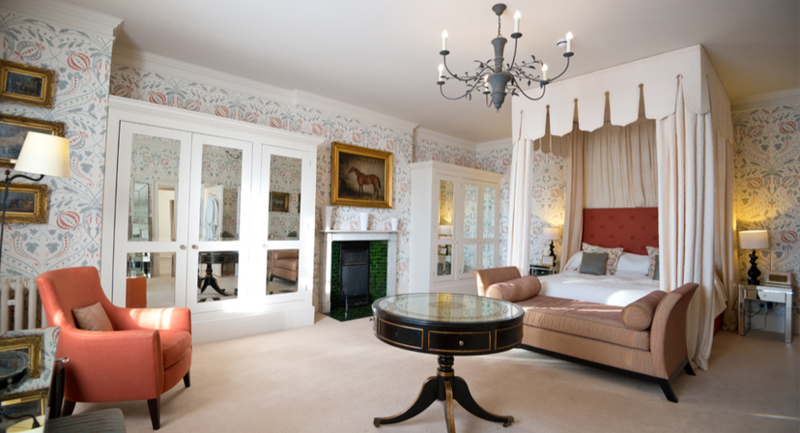 Both rooms were designed for enjoyment and have witnessed chatter, gossip and celebrations throughout several centuries. Both the Library and Ante Room are south facing and are bathed in sunlight all day. They have magnificent views of the gardens and onwards though the estate. You won’t see a pylon or house for miles. We can guarantee your privacy and you’ll enjoy the sense of luxury knowing the house is ‘yours for the day’. The Library is packed with leather bound volumes, digests, fiction and non. There are a number of local history books. You’re welcome to explore the shelves, thumb through publications and settle down to read if you wish. You’ll spot George in the photograph of his father, Sir Andrew Buchanan, with Her Majesty the Queen. Or perhaps posing with Peter Kay. George comes from a world of entertainment and has dedicated links with the area and county. 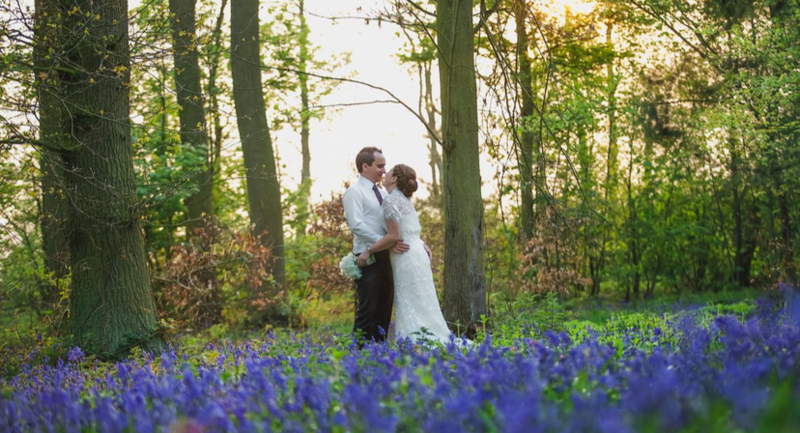 Bring the whole family together for a wedding reception in South Yorkshire. 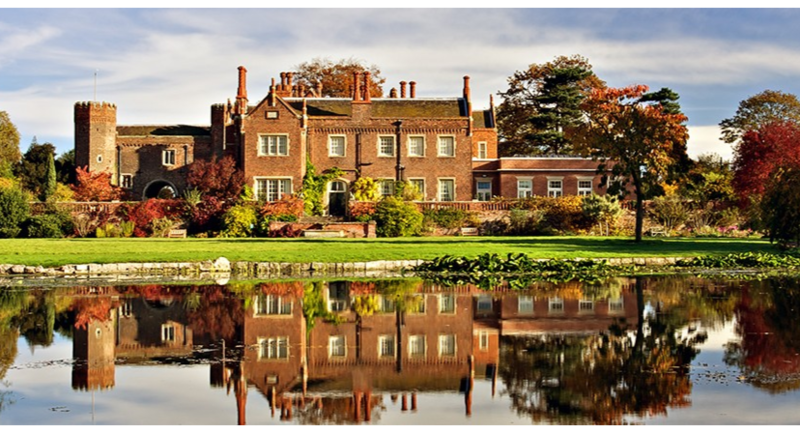 Wedding receptions at Hodsock Priory range from intimate get togethers to big family knees up. 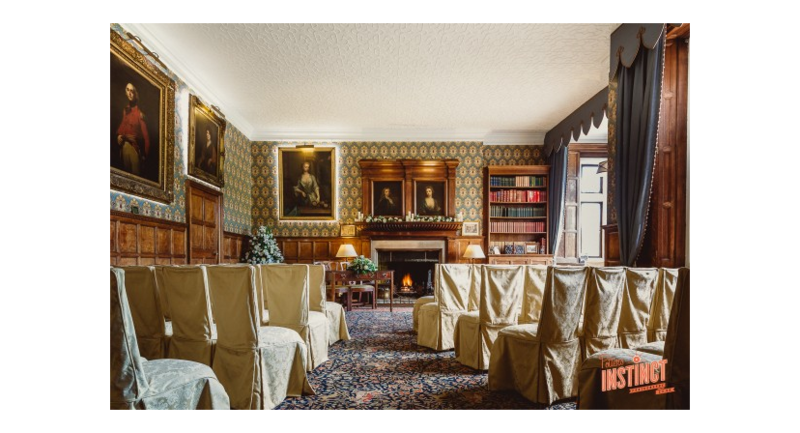 We tend to host wedding ceremonies in The Panelled Hall (for up to 80 guests) or in The Library for more relaxed and informal marriage celebrations. The wedding reception usually takes place in the Pavilion, Bar and Ante-Room. 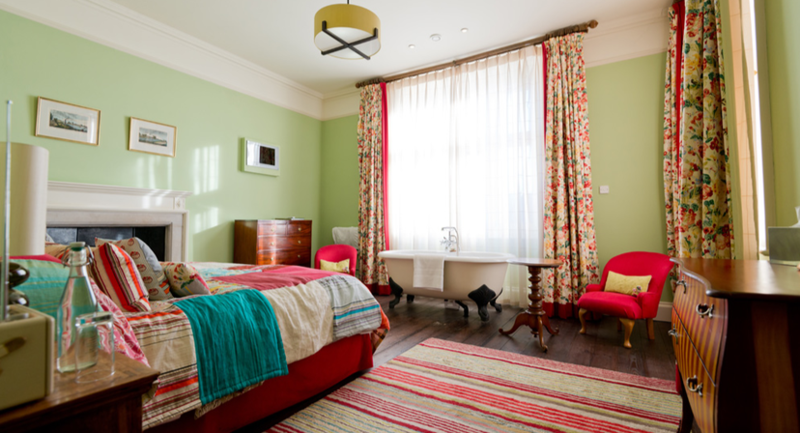 Each room is steeped in heritage with ornate fixings and luxurious finishes, the décor provides a perfect backdrop for colourful flowers and themed dressing. 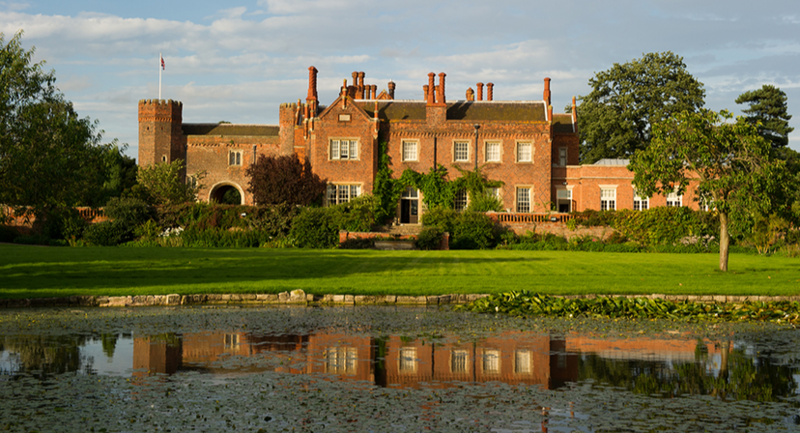 The former Hodsock dairy has been redeveloped to become a contemporary meeting venue with lots of green credentials. With help and support from DEFRA’s Rural Development Programme for England and East Midlands Development Agency, we’ve created a small exclusive meeting venue with five star service and accommodation to match.